Samsonite has been in business for over a century now. In fact, Samsonite has set the standard for reliability, durability, style and innovation. They make suitcases. They also make casual bags, backpacks, travel accessories and as of recently, carriers and laptop bags. This is one beautiful suitcase! 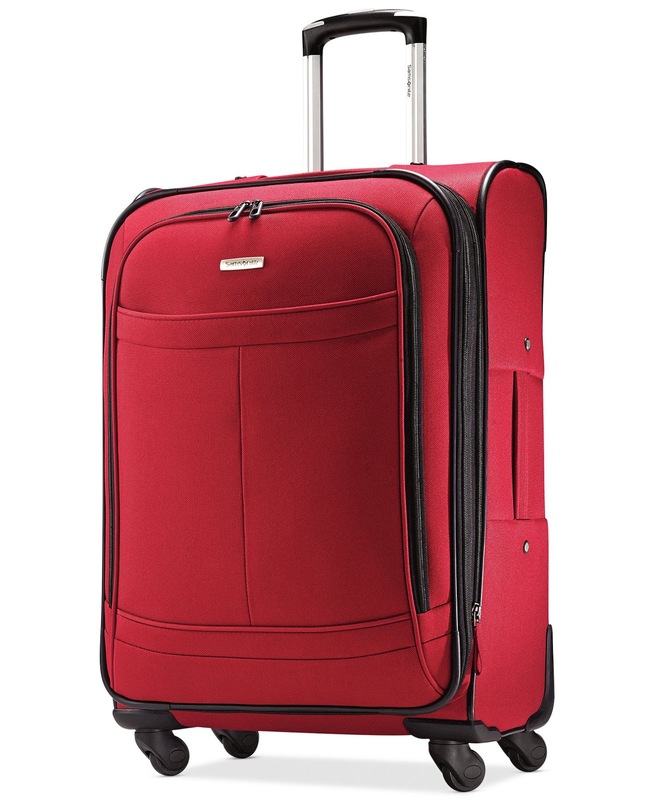 This piece is the Samsonite 25" Spinner and it's a stunning red! It's lightweight (less than 9 pounds), expandable and has a retractable handle. 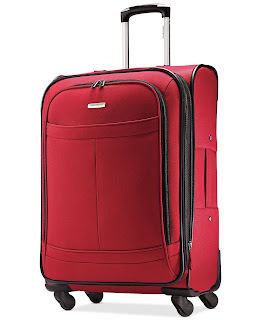 This particular piece is one of a 4-piece set, the "Lift 2 (Lightweight Innovations for Travel)." The set is available in red, black or blue. The Spinner (the piece that we received) is available in lengths of 21", 25" or 29". We have received the 25" and it has plenty of room for everything! Smooth-rolling, omnidirectional, “airflow” Spinner wheels for easy movement. Rolls upright so there is no weight on your arm or shoulder. Large front panel interior pocket for added packing organization. Deep main compartment with mesh modesty pocket for personal items. Opening up the Spinner, the largest compartment is lined with a lovely material, straps to secure your belongings and an internal, zipper pocket. Next, is the outer pocket, which is great for toiletries, medicine, etc. There's another pocket, which is on the outside of the zippered pocket. This is perfect for nightwear or shoes. This particular piece retails for $190.00.